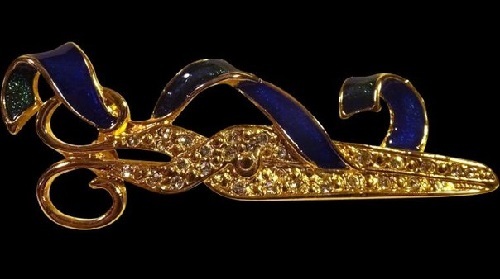 When we imagine a vintage brooch, it is a sparkling with rhinestones volumetric decoration of 1950-60s, or elegant brooch with pendants in the Victorian style. 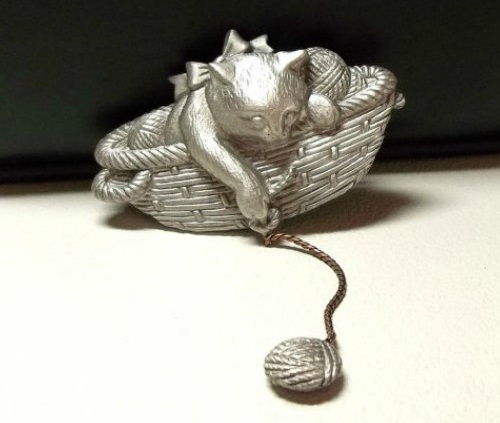 But there are some vintage brooches of less well-known ornaments. 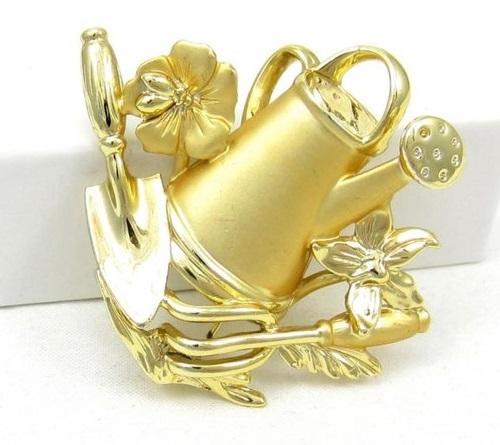 The fact is that many well-known jewelery brands made special “genre” decorations depicting figures of fun or everyday objects that symbolize something. 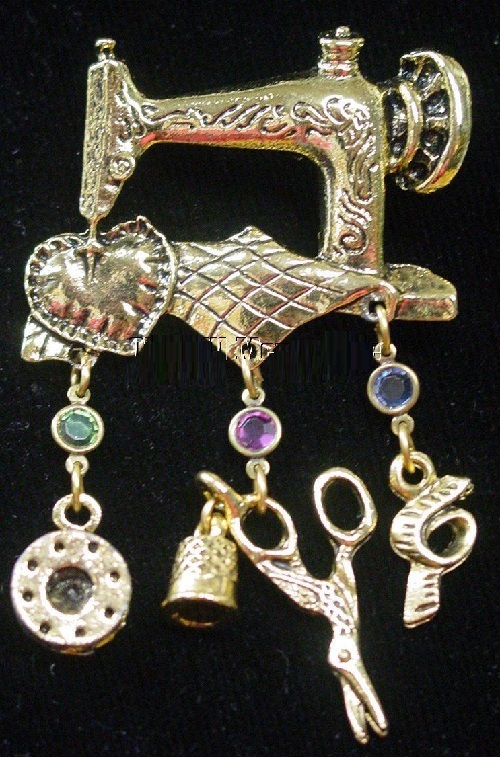 The main purpose of these Vintage genre brooches was to create a good mood. 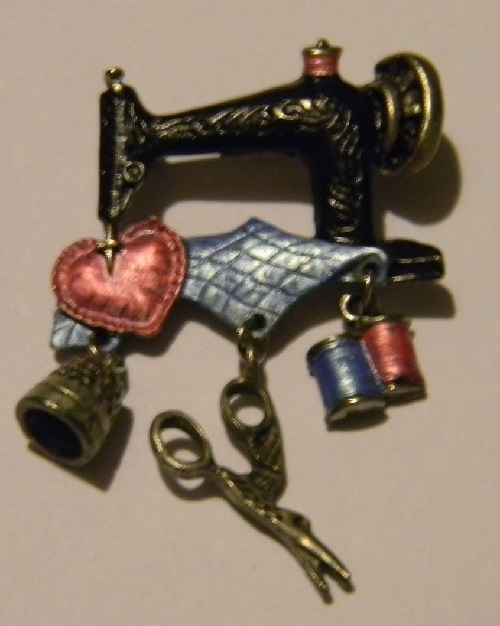 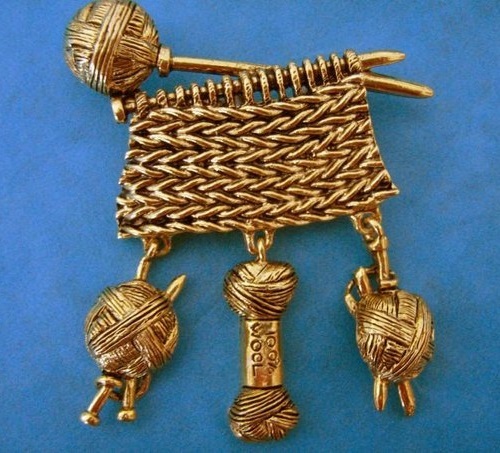 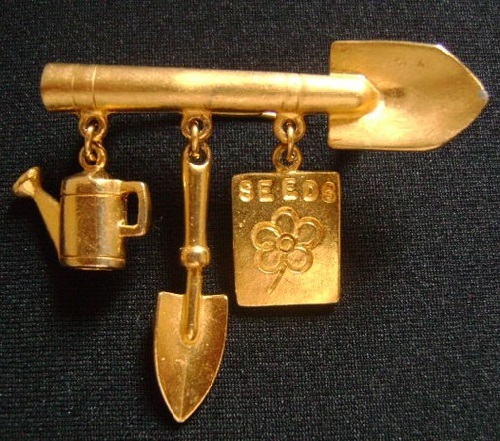 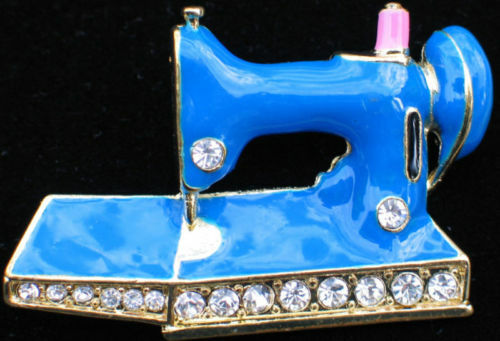 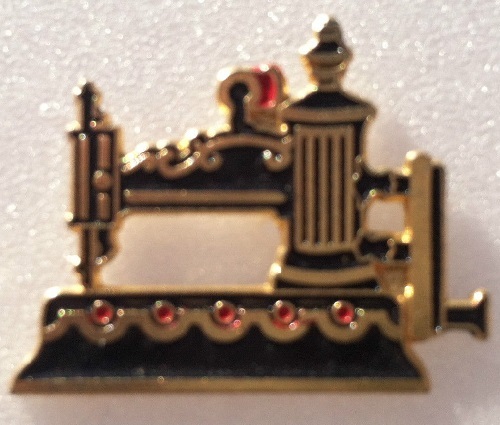 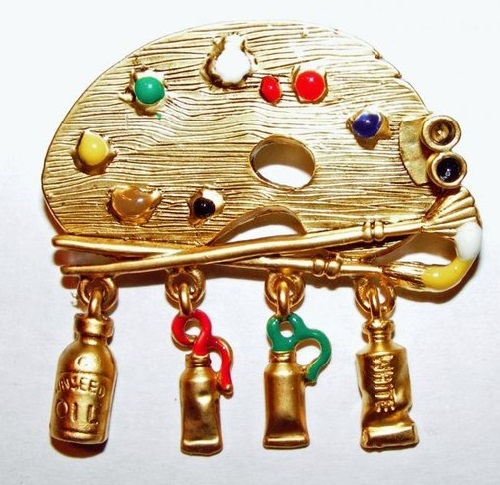 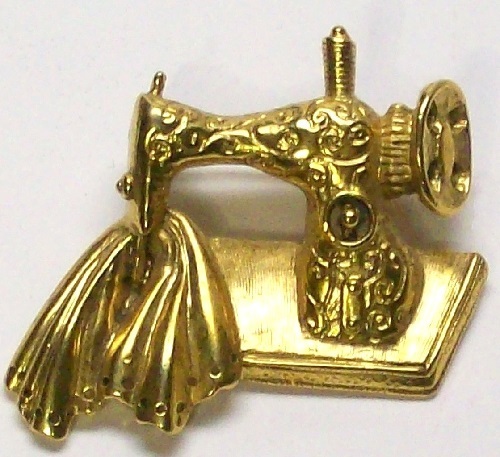 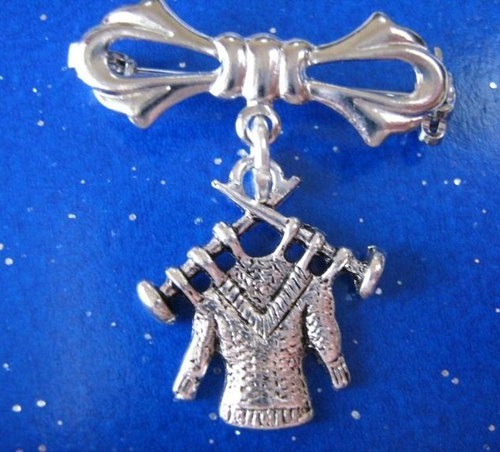 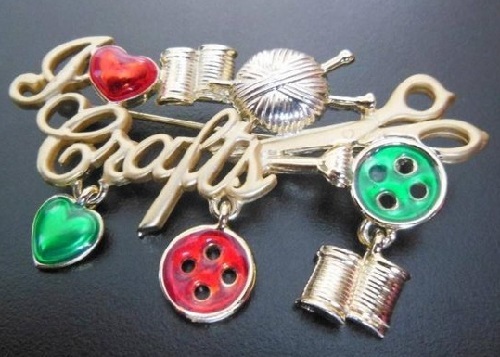 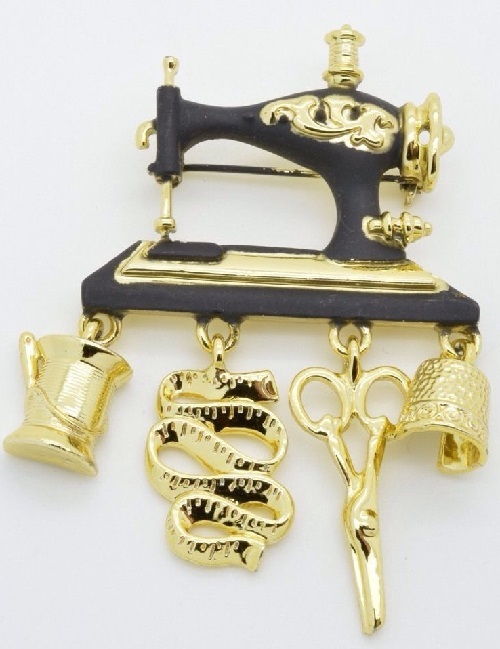 Especially popular cheap but charming “genre” brooches were in 1970, these brooches were symbols of a particular profession or hobby – brooch in the form of a school board and the globe for teachers, brooch in the form of a typewriter to the Secretary, brooch or pin for the needlework or craft enthusiasts. 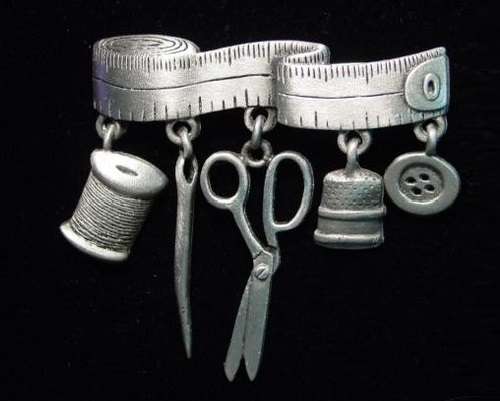 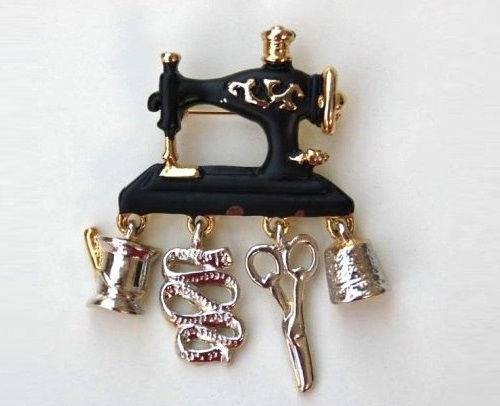 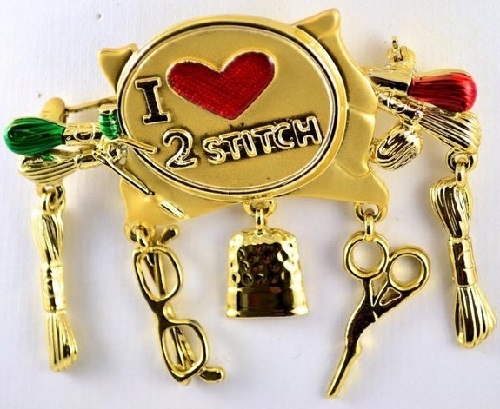 These brooches have always been excellent gifts or souvenirs just for mom, sister, or, for example, your grandmother, enthusiastic about sewing or knitting.